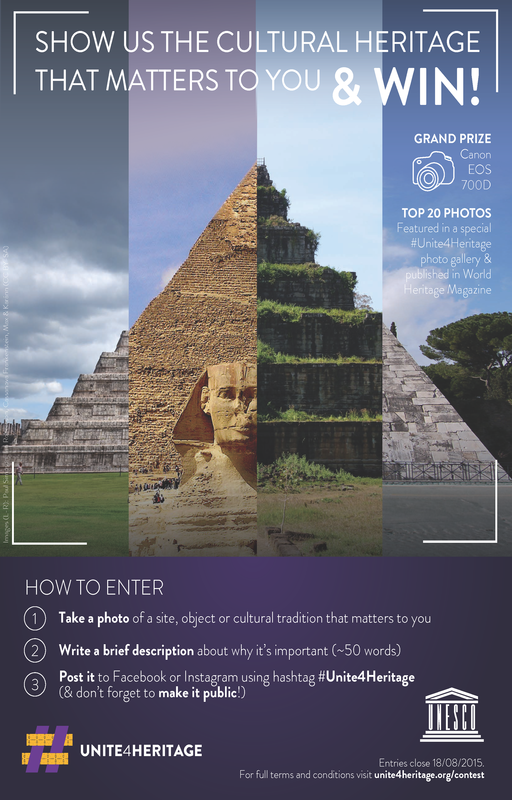 UNESCO is excited to announce the launch of the #Unite4Heritage Photo and Story Contest, with some great prizes to be won, including a Canon EOS DSLR camera and publication in World Heritage Review! #Unite4Heritage is a global initiative that aims to respond to the unprecedented recent attacks on cultural diversity and heritage. Launched by the Director-General of UNESCO in March and focused especially on young people, it seeks to build an alternative narrative to extremist propaganda – one based upon messages of unity, tolerance and solidarity. As part of building this narrative, UNESCO want to encourage you to share your photos of your favourite heritage sites, objects and cultural traditions on social media, and talk about why they are important.